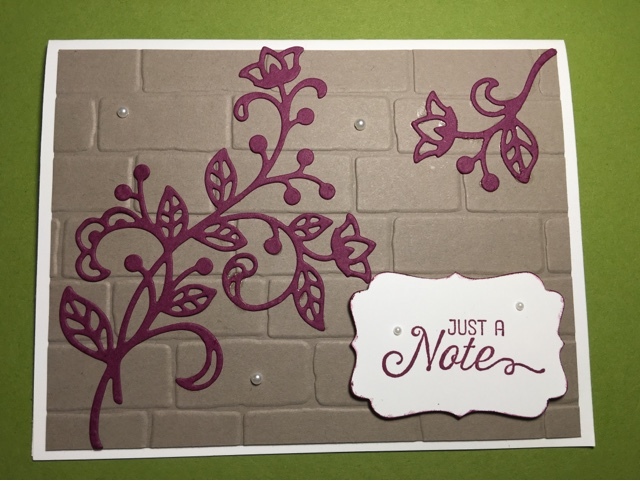 This is my favorite new stamp set: Flourishing Phrases. I love creating with the die cuts of the flowery flourish. If you want to make this you can use the supply list below and shop online at my store. Thank you for coming to visit to view my creativity.